An extraordinary 2 Hour show from the kings and queens of Pagan Folk Metal. 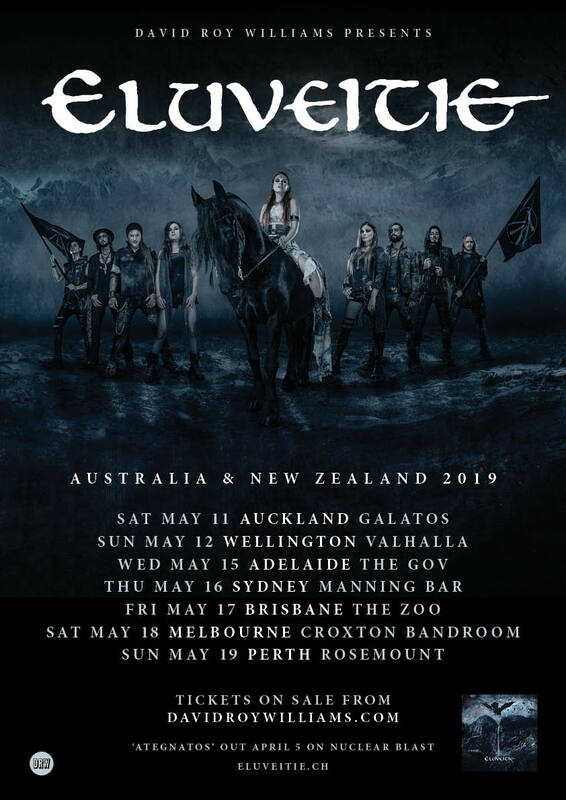 ELUVEITIE have long found their very own trademark sound, a sonic adventure based in Celtic visions of a Gaulish past, and the band are excited to be bringing their brand new line-up, darkly atmospheric new album Ategnatos and classic works from their entire 17 year history to Australian and New Zealand fans. The nine members of ELUVEITIE fill the stage with charisma, while their exquisitely archaic folk metalfills the room – monumental drums, and crushingly heavy guitars combine with hurdy gurdy, celtic harp, whistles, fiddle, mandola, bodhran and bagpipes to deliver a metal experience like no other. 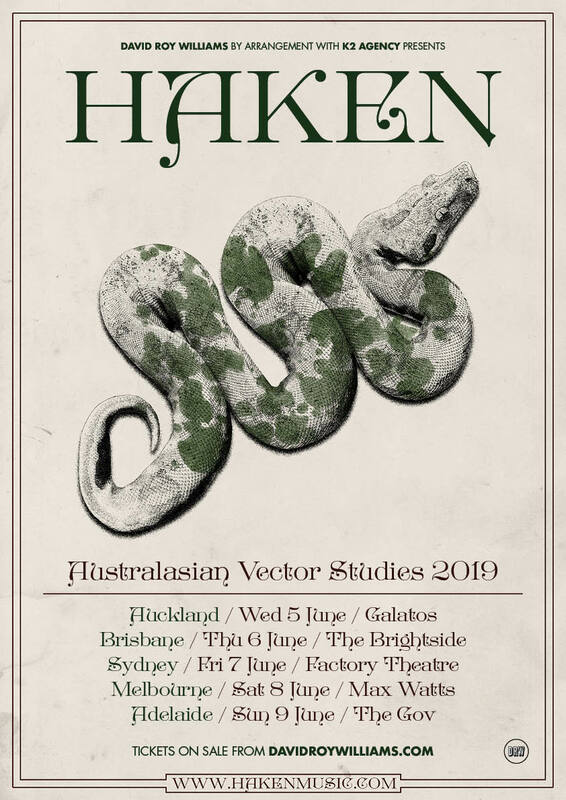 This May, Australia and New Zealand will witness the most epic performances this Swiss metal nobility has ever presented. Both mystical and powerful, theirs is a show that needs to be beheld – an elemental force unleashed upon the following. A breathtaking experience never to be forgotten.